Union Pipeline | Unsurpassed Quality, Innovation, & Results. Union Pipeline is led, operated and managed by a team of educated, highly skilled and accomplished, safety conscious men and women who have over 20 years of successful project experience in the Oil and Gas Industry. Union Pipeline has worked hard to establish its reputation and will work even harder to keep it. You can rely on Union Pipeline for any and every pipe installation job. Mechanized Cutting, Hand Cutting, Chipping & Processing, Stump Grinding, Surface Mulching, etc. Rock Construction Entrance, Wash Racks, Standard Filter Fabric Fence, Reinforced Filter Fabric Fence, Super Silt Fence, etc. Topsoil Strip & Stockpile, Rough Grading, Channel Construction, Topsoil Relay, Erosion Control Blankets, etc. Hot Taps, High Pressure Testing, Pigging and drying of lines, Engineering, Surveying, etc. Soil Amendments, Hydroseeding, Brillion Seeding, Straw Mulching, Broadcast Seeding, Hydromulching, etc. To construct and deliver projects of exceptional quality and value through safe, sound and proven practices. We strive to be the leader in our trade whilst we create and maintain an environment for our employees that allows for personal and professional growth with harmonious balance between life and work. Our clients and partners expect honesty, dependability and integrity. The foundational values of our company which we build upon each and every day. We go over and beyond to train each and every employee extensively to ensure they meet all safety codes and understand how to respond should an incident compromising the safety of themselves or others occur. Union Pipeline takes pride in giving our crews the best, most up to date tools to work with. We are constantly looking for new advanced technologies of innovation that will help our crews perform more safely and efficiently. 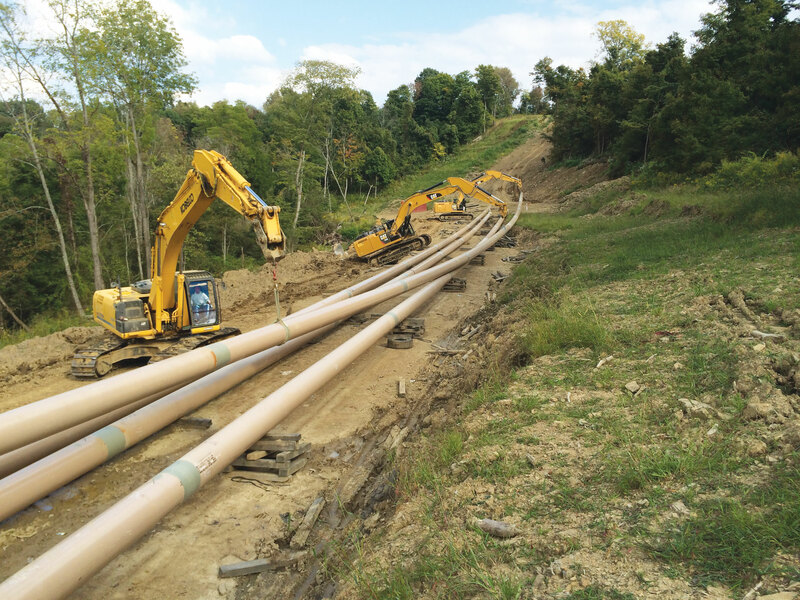 Union Pipeline has proven itself, bringing projects in on spec, on time & on budget. Read how we rose to the challenge in a variety of projects for our clients in the oil & gas industry, then find out how we can do the same for you. We are here to answer any questions you may have about who we are what we do. Feel free to reach out to us and we’ll respond as soon as we can.